Home » Fashion » Country Wear: Practicality Meets Aesthetics! Looking for the ideal combination of style and comfort in clothing to accommodate to your busy lifestyle? It’s time to make cowboy fashion part of your life! Appearing in the 1800s merely out of necessity, cowboy or Western wear, if you will, had all the elements cowboys and ranchers needed to make it through the day. Every piece had the specific purpose to protect from the weather conditions, but along the decades, with the help of iconic films, of course, things started shifting towards aesthetics too, and the charms of the Wild West haven’t waned to this day. 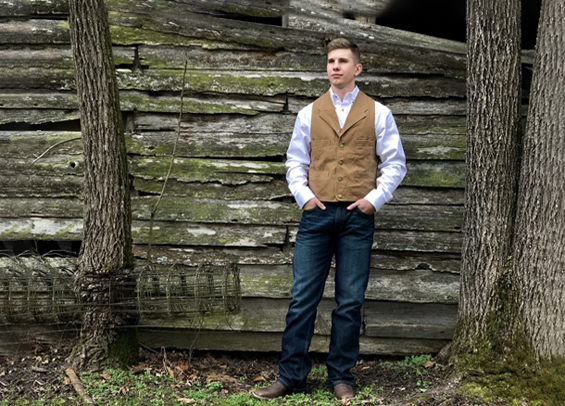 Even if you don’t want to go fully Western, there are pieces of country wear like shirts, denim, boots or accessories such as hats, belts, bolo ties and neckerchieves that are sure to grab your attention and fit in seamlessly with your style because the range is wide and they’re sure to make your outfits much more interesting and comfortable at that. Considering a great deal of Australia’s territory is covered by the remote wild interior known as the Outback, millions of square kilometres of Queensland, the Northern Territory, South and West Australia specifically, it’s a reason more to adopt the style even if you don’t embark on a trip through the desert. Apart from the rugged appeal of the old West, what helped spread the country wear craze was also haute couture with many famous brands, such as Ralph Lauren, Versace, Max Mara and Louis Vuitton bringing it to the catwalks. Thanks to this, Western wear got a more refined look so it’s no longer unimaginable to associate it with luxury too. You also don’t have to look far if you want to incorporate something local in your closet – Americans have Levi Strauss but we have RM Williams! Choosing to wear RM Williams pieces, like the classic boots, you’d be in the company of many celebrities, Hugh Jackman and Nicole Kidman to name some. The search for a blend of something comfortable, casual yet still aesthetic in a mixture with history and folklore driven by nostalgia brings us the trend of sophisticated and practical country style that works great for the Outback, the ranch and the city streets all at the same time. Based on your taste, whether you’re interested in something more detailed, luxurious with a bit of a bling, or prefer the simpler look, you’re sure to find the country elements you can enrich your outfits with.